Several months old now, Fail It Forward has held true to its early praises of being a solid rock album, and remains as fresh in the ears as it did upon release. 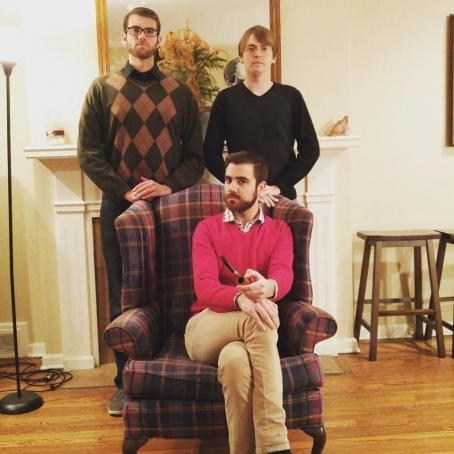 Kansas City trio The Shameless Pursuit debuted Fail it Forward at the end of October of last year, the first release from the collective of Jeffrey Means, Richard Newell, and Jon Eusey. The six-track EP, recorded and mastered at Clockwork Audio by Mike McDonough, showcases the band hitting the ground running before finding a solid pace through the duration of the album. For a debut album from a still-green band, Fail It Forward gives listeners a deep understanding of who The Shameless Pursuit are as a band and what they work to convey. As mentioned, the band hits the ground running with their opening track, which is appropriately dubbed “The Opener.” Riffy guitar, insanely groovy bass lines, peppy drums, and soft-spoken vocals all meld together to declare, “I believe.” The song ramps up quickly as guitars become more prominent, the vocals get louder, and the trio turns everything up. Quickly you realize you’re in the midst of a sure-fire rock anthem. For a band straight out of the gates, The Shameless Pursuit seems to be doing everything right. Though the album appears a bit eclectic—a jumbled mix of music that draws character from a cavalcade of influences—it really is showcasing the individual talents of the trio. Clear connections to Brand New, Death Cab For Cutie, and maybe even the New Amsterdams can be drawn if you listen closely. And though these influences are present, the band crafts their own unique sound. Check out The Shameless Pursuit on Facebook, Twitter, and Bandcamp, and catch them this Sunday at The Riot Room. Steven lives the agency life by day, and hustles music by night at The Record Machine. If he's not going to your show, he's probably playing frisbee with his dog or is elbow-deep in some chicken wings.